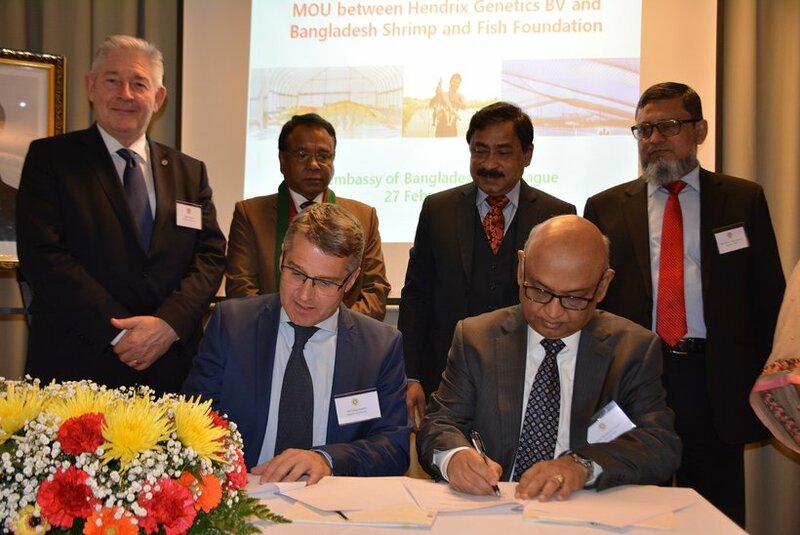 President of BSFF, Syed Mahmudul Haque, and Managing Director of Hendrix Genetics Aquaculture BV, Neil Manchester, were present to sign an MoU in The Hague, NL. The agreement benefits both the shrimp industry in Bangladesh and the main importer of black tiger shrimp, the European market. By sharing expertise and innovative technology, the goal of the agreement is to enhance quality, availability, and sustainability of black tiger shrimp products. Bangladesh's famous black tiger shrimp is in high demand because of its highly sustainable and its near organic process of production. In 2017 and 2018, US$ 89.82 million was spent on black tiger shrimp in the Netherlands alone. 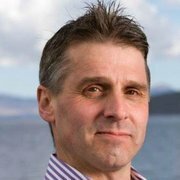 The black tiger shrimp industry has great potential for growth in the European market. Bangladesh is well positioned with its growing economic power and geo-strategic location. Combine this region with Hendrix Genetics’ expertise in breeding programs and global reach, and this collaboration is sure to deliver success for the market and for Bangladesh’s aquaculture industry. Bangladesh Shrimp And Fish Foundation (BSFF) is a Non-Profit Private Organization Focused on Research, Advocacy and Targeted Actions at all level of value chain in the fisheries sector, aquaculture and shrimp industry. For more than a decade BSFF has been consistently working to generate much needed dynamism to the fisheries and aquaculture sector in Bangladesh with a view to realizing its rich potential.